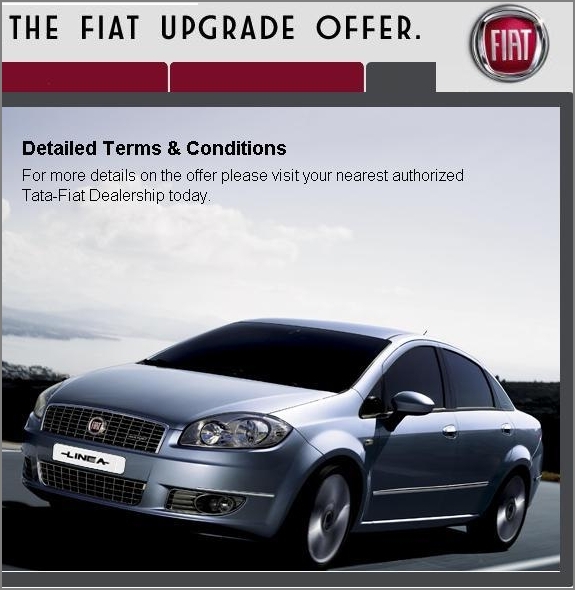 Fiat India will launch the 2013 model refresh of the Linea and Punto in the first week of April. The Italian company is on a spree of opening new dealerships in various cities and has plans to add more than 100 dealerships by end of 2013. The 2013 Linea will get offer minimal changes on the outside and dual tone interiors on the inside with new upholstery. There are chances of the Linea T-Jet re-launch to happen and will replace the top Emotion variant on the non-turbo charged. There are also rumors of the Linea to receive the facelift which was launched in the International markets as shown in the image below. The Linea continue to be powered by existing engines 1.4 petrol and 1.3 multijet. The 2013 Punto will also receive similar updates limited to new upholstery and minor updates on the outside. Engine options include 1.2 & 1.4 petrol and 1.3 & 1.3 90-hp diesel. New colour options may be offered and we hope Fiat does a Tata by launching contrast colours on the roof. Fiat will launch the Punto Abarth by June and has already commenced testing of the car in India. The Jeep brand will also make its debut by end of the year offering the new Grand Cherokee for the Indian market.